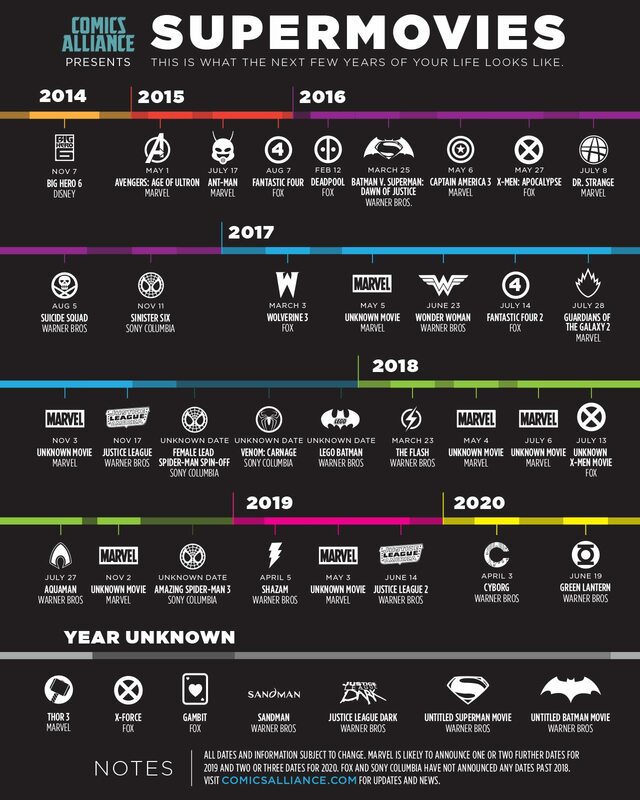 This Graphic Shows You Every Comic Book Movie Coming Out In The Next 6 Years. By	Jon Negroni 15 Comments on This Graphic Shows You Every Comic Book Movie Coming Out In The Next 6 Years. Read More This Graphic Shows You Every Comic Book Movie Coming Out In The Next 6 Years.